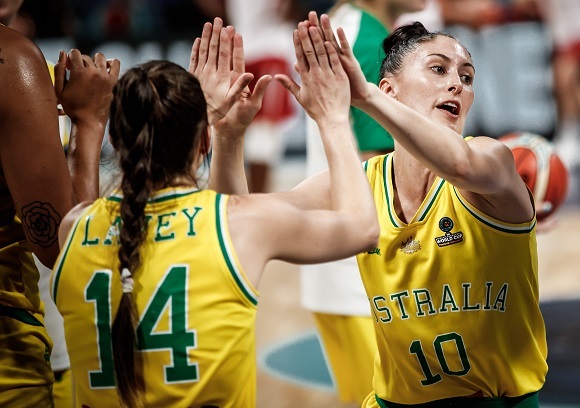 The camp is the first step in a big year for the Opals that includes the 2019 FIBA Asia Cup and the start of the FIBA qualifiers for the 2020 Olympics and 2022 FIBA World Cup. Held from April 12-18, the Gold Coast camp will be followed by a camp in Phoenix, Arizona from July 20-31 before the team for the Asia Cup is announced in August. “These camps will be a great opportunity for the coaching staff to evaluate a larger group of players and target the ones who we believe will have the best chance of making the tournaments later in the year,” said head coach Sandy Brondello. 14 athletes competed in the 2018/19 Chemist Warehouse WNBL season including Championship winners with the UC Capitals Marianna Tolo, Lauren Scherf and Leilani Mitchell while Tiana Managakahia joins the Opals squad after an outstanding college season with Syracuse. In addition, Katie Ebzery, Steph Talbot, Cayla George, Tess Madgen, Ezi Magbegor, Tessa Lavey and captain Jenna O'Hea return to the team after winning the silver medal at the 2018 FIBA World Cup. A mixture of European and WNBA commitments, with the 2019 season beginning next month, as well as niggling injuries has seen some players miss the camp. This squad announcement is an exciting first step in what will be a significant year for the Opals. “Following the Asia Cup in September, we have the very important qualifiers for our region in November,” said Brondello. “A top-four finish during that qualifier will see us advance to the Pre-Olympic tournament in February where we will play against the qualifiers from the rest of the world to determine the final 12 spots for Tokyo.